I had to pay $9.99 for the new traits feature. It certainly whiled away an afternoon to look through them even if they were not all accurate. No I do not have a unibrow but then I hardly have any eyebrows at all. No my index finger is not longer than my ring finger. But yes my hair is wavy, so I grow it long to straighten it. My earlobes are attached and my eyes and skin are light and the rest of the traits seem accurate as well. Plus they list what you said when you were surveyed and allow you to change that response now. What was of more interest to me is the ability to look at shared traits with cousins, so I invited a few to also buy this. My wonderful second cousin John opted in. So much fun to see that he loves sweets too and tastes the bitters like I do, but neither of us perceive much umami. He has my hair type and iris type but no freckles and does not like cilantro. Many people ask me what their genes mean and I usually answer “Who knows, who cares, it’s the matching cousins part that is the most interesting.” This feature starts to answer that question but it is only a start and nowhere near as comprehensive as 23andme. Plus not the same traits that DNA.land shows (yes I am a night owl!). I like the G technique for figuring out cousins. Since I share grandparents with my first cousins there is only one G in the common couple (most recent common ancestors aka MRCAs) so they are first cousins. When I share great-grandparents there are two Gs so 2nd cousins. However the children of my first cousins have two Gs to the MRCAs , while I have one, so take the smaller number for the type of cousin and the numeric difference for the amount removed. Therefore those first three matches are all my first cousins once removed and C.S. is my first cousin twice removed. First cousins once and twice removed! Yes, my guess as well! I finally got the grandparent/great grandparent 1st / 2nd cousin relationships. All children and grandchildren of your first cousin will be first cousins removed! Love the blog – am a newbie to ancestry/DNA analysis, having received a 23andme kit as a gift. I recently completed my one-to-many function, and I’m experiencing a result I cannot make sense of, and can’t find any info online. My top match and I share 303,350 cM. I did not even think this was possible as full siblings only have like 5,000 shared? Is there an odd glitch in the system? Would love any feedback you may have, as this result is quite surprising and I don’t really have the context to make sense of it. Thanks so much for the support email… I was looking around for that. I just input my kit, so not sure what happened. Thanks again and love the detail on here! I love that we can now see the number of shared cM from the cousin list page! And, that we can see when people have unlinked trees. 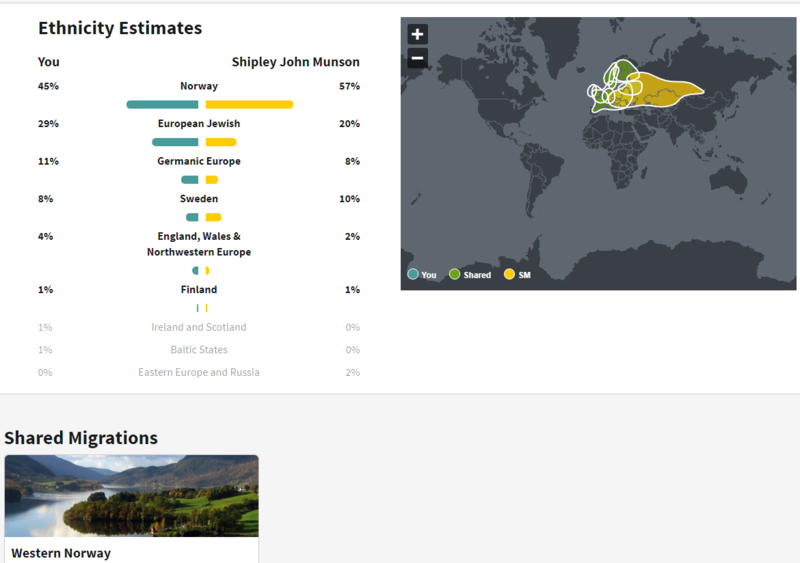 Ancestry is making some nice improvements! Love your site, very informative! 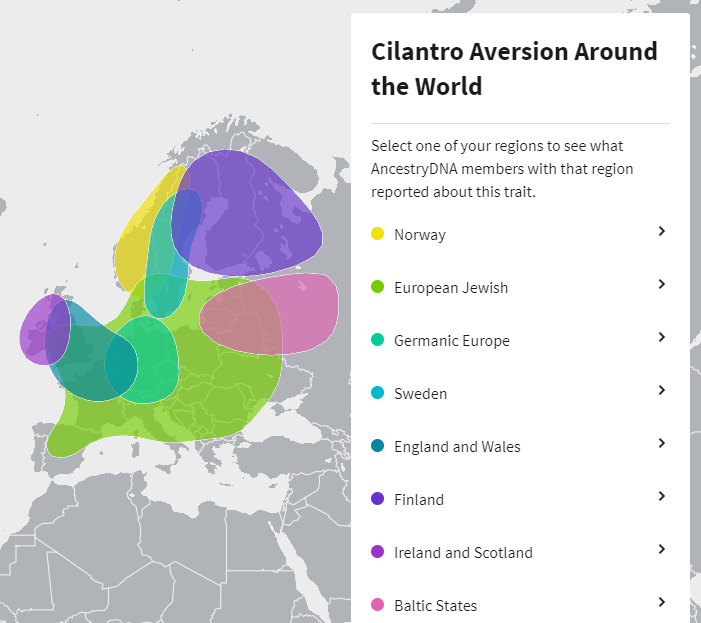 I recently joined ancestry.com and got my DNA results back a few days ago. My father, while living, was always interested in geneaolgy and my brother got into this hobby after our parents passed. Much easier now with tools such as ancestry.com! Anyway, the results are not quite what was expected. 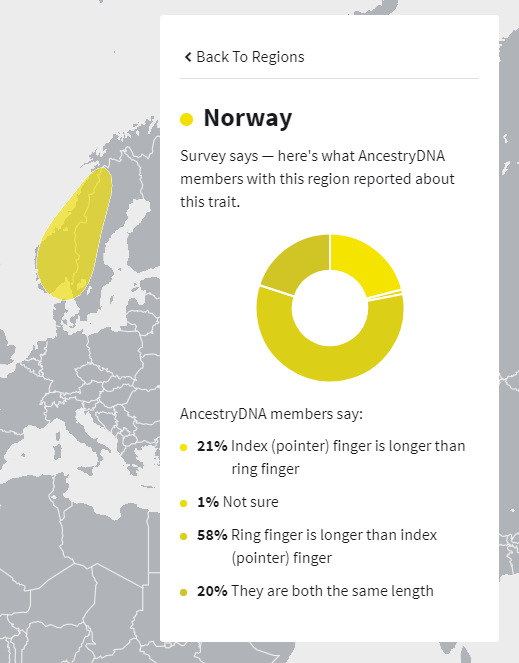 My maternal aunt tested as a “close relative” as well as my 3 maternal 1st cousins matched as “1st cousins.” However, my full brother matched as “close relative” with 1,699 cM across 60 segments being shared. Based on this, he is my half brother and we share the same mother. 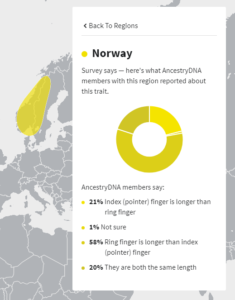 Is there ANY other reason why these results would be like this? Us matching as half siblings is COMPLETELY out of the blue. NEVER would we have thought this. It looks like he is matching to distant relatives on our father’s side (no close relatives have taken the test on his side), but I am not. 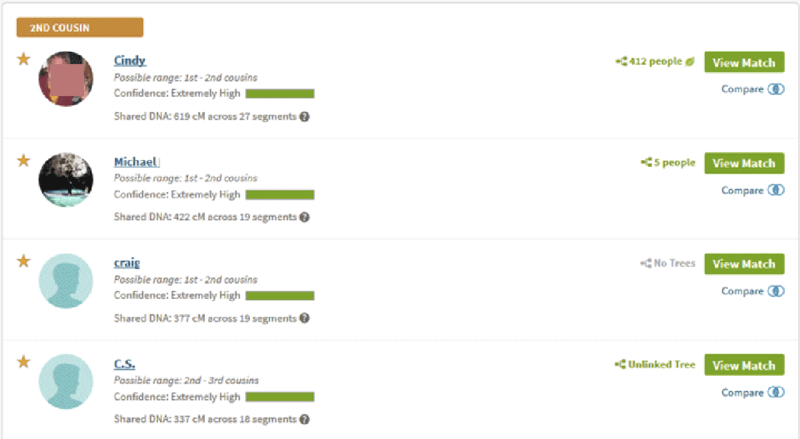 My next step would be to use GED match, but I am forseeing the same result. Any help would be much appreciated! I am so sorry, I know this is hard to cope with. There are private groups on Facebook with many people who have gone through this also. Do double check this result at GEDmatch but from what you tell me your father was not your biological dad. He is still the father who loved you and raised you. I Have send you a pm on your facebook about genealogy in Norway.